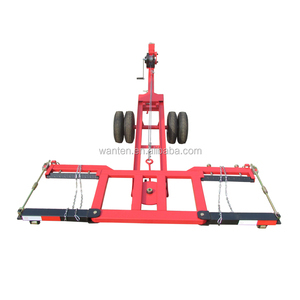 Air port equipment pallet dolly container dolly , 20F container dolly. 4. after sending, we will track the products for you once every two days, until you get the products. If you have any questions about the problem, contact with us, we will offer the solve way for you 1). Do you provide samples9 Yes, we can provide most of the product samples. 1.The heavy duty appliance dolly is mainly used for high-rise buildings haul goods up and down the stairs,only one person can use. 3. 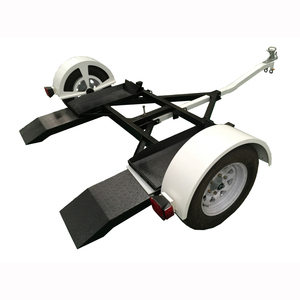 The materials of heavy duty appliance dolly is made of high-strength aluminum alloy. 4. 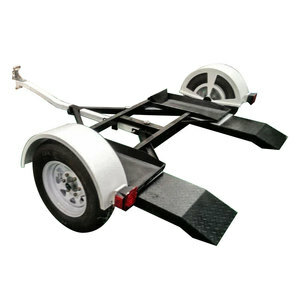 Castor sizes of heavy duty appliance dolly:125/100mm,rear castor with brakes 5. Three position lift bar help any size operator move the heavy duty appliance dolly. capacity 800kg heavy duty dolly drywall carts for sale Model: GS-DD01 Material: Cold Rolled Sheet Steel Sheet Thickness: 3mm Tube thickness: 0.8mm Profile size: 120x122x57cm Anti-rust treatment: powder coated Load Capacity: 800kgs Wheels: 2 x swivel cast iron caster 2 x fixed cast iron caster Packaging & Shipping Packing: Carton box Qty/ctn: 1pc G.W/N. W: 36/35 KG Packing size: 125x59x10cm Qty/20'FCL: 400PCS Qty/40'FCL: 820PCS Related Products GS-DD01 Material: Cold Rolled Sheet Steel Sheet Thickness: 3mm Tube thickness: 0.8mm Profile size: 120x122x57cm Anti-rust treatment: powder coated Load Capacity: 800kgs Wheels: 2 x swivel cast iron caster 2 x fixed cast iron caster Packing: Carton box Qty/ctn: 1pc G.W/N. 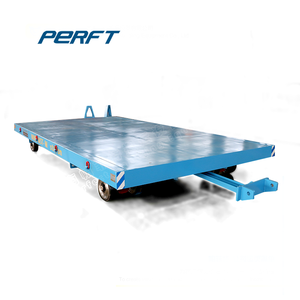 W: 36/35 KG Packing size: 125x59x10cm Qty/20'FCL: 400PCS Qty/40'FCL: 820PCS Drywall dolly capacity 800kg GS-DD02 Material: Cold Rolled Sheet Steel Sheet Thickness: 4mm Tube thickness: 1.2mm Profile size: 120x122x57cm Anti-rust treatment: powder coated Load Capacity: 1500kgs Wheels: 2 x swivel cast iron caster 2 x fixed cast iron caster Packing: Carton box Qty/ctn: 1pc G.W/N. Details Show Dimension(L*W*H) 1350*1080*1010mm Shipping Weight 95.0 lbs Capacity 1200 lbs Tires Flat Tire Customer's specification is accepted Our Comparative Strength Designed with a handbrake for extra safety and no unwanted rolling Two 16in. flat-free tires and two 10in. swivel casters for weight distribution and easy maneuverability Adjustable height from 21 1/4in. H poly casters with ball bearings. 4.Sturdy built-in handle for easy transport to work site. 5.Stackable for compact storage. Alibaba.com offers 19,366 dollys for sale products. About 23% of these are hand carts & trolleys, 1% are crates. A wide variety of dollys for sale options are available to you, such as stainless steel, plastic, and aluminium. You can also choose from storage, industrial, and tools. As well as from platform, enclosed, and roll container. And whether dollys for sale is four-wheel, or three-wheel. There are 19,060 dollys for sale suppliers, mainly located in Asia. The top supplying countries are China (Mainland), Taiwan, and India, which supply 96%, 1%, and 1% of dollys for sale respectively. Dollys for sale products are most popular in North America, Western Europe, and South America. You can ensure product safety by selecting from certified suppliers, including 3,671 with ISO9001, 3,071 with Other, and 567 with ISO14001 certification.